The Gula Java in Amanprana comes from central Java, the largest island of Indonesia. Families that harvest and thicken coco blossom nectar into a sweet energy see the Borobudur Temple in the distance – the largest Buddhist temple in the world. Gula Java from Amanprana is cultivated organically and usually originates from the mountains in the rain forest. 864 families are assisted by an additional income. Gula Java fits into a Fair World Project in which women and men are treated equally. Quality of Gula Java is centrally controlled before it is packed for Amanprana. Gula Java contains many antioxidants (more than most fruit and vegetables) and has a low glycemic index. 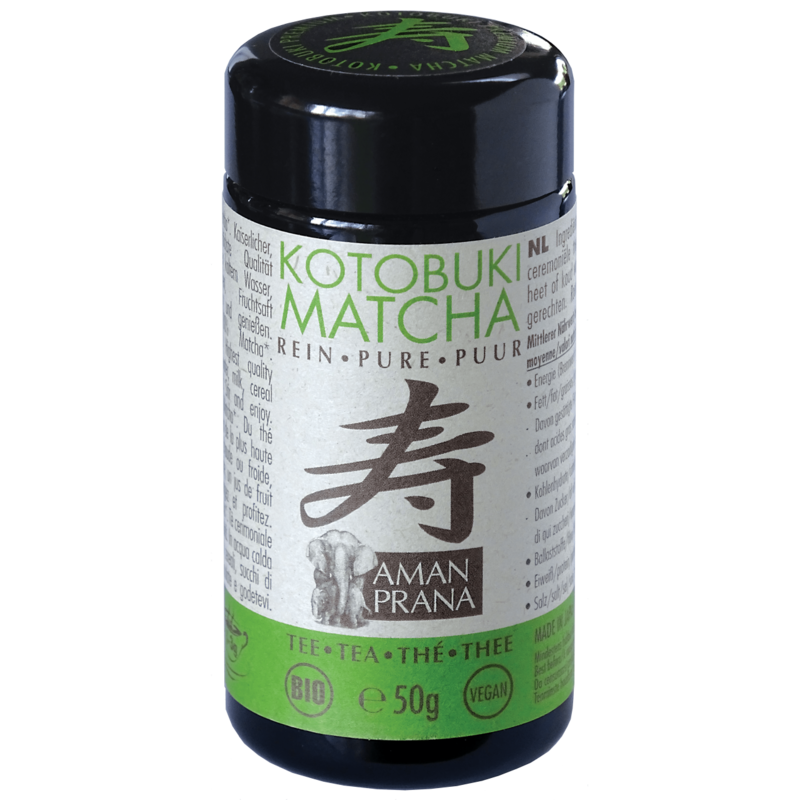 Matcha from Amanprana is premium Matcha of Kotobuki quality, which means ‘longevity’. It is the highest quality Matcha with extremely high nutritional value. Our Japanese supplier, ‘Aiya’, has been producing high quality Matcha and Japanese green tea since 1888 and is known for its quality, reliability and food safety. Many tea farmers have worked together with them for generations. The tea farmer cares for his fields, plants and harvest, but also for the quality of his products. Our supplier buys the entire harvest from the tea farmers in order to guarantee that their income is sustainable – also when harvests go partially unused. In the region of origin, Nishio, Matcha tea has been produced for more than 800 years. This environment, nature and people are the capital of Matcha quality. Outstanding tea plants, the minimum standard for Matcha, only reach maturity in an exceptional environment. Nishio is the world of tea. Tea takes centre stage in this region, in the landscape as well as the economy. 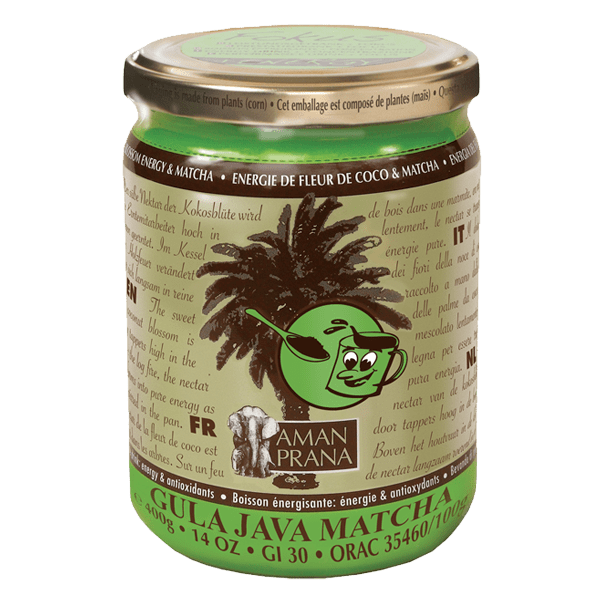 Certified organic Amanprana Matcha comes from the Shimoyama region, a somewhat cooler region close by. Shimoyama means ‘misty mountain’, and Kotobuki Matcha is harvested at a height of 600 metres, far removed from industry and villages in the middle of the mountains.